We all know that Google is a giant player in the technology field, even bigger in the internet (searching, advertising, etc). So lets talk about their biggest strength which is the Advertising world. Advertising is a huge part of the world itself, we see it on TV, Radio, Streets and in the internet. Google have something that is call "Adsense". Adsense is a free service in which people can put Ads on their blogs and websites. This Ads are base on the content of your websites which is very nicely done by the algorithm the people at Google created. The Ads are very nice and clean, nothing crowded or disruptive for the eyes. The service is wonderful because it makes money for you even though they are getting the big chunk, hey can't complain, we are getting pay to do stuff we like. 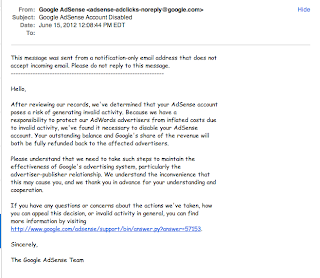 I have appealed for them to revise my records but once again they sent me a new email stating that they had reviewed my case again but that I still was banned from the Adsense program. Until this day I don't really know what kind of Invalid Activities they where talking about. 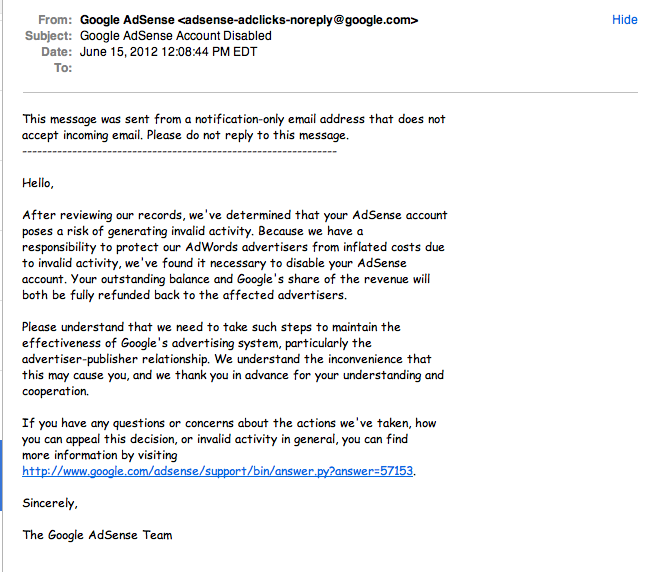 They didn't give me any concrete proof of anything wrong with my account, they took my money, they don't give you another chance to try Adsense (not that I want to again..) and there is not communication possible with them. 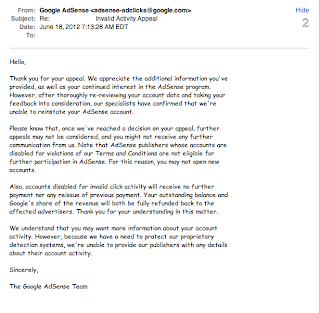 Adsense could be even bigger if is manage with more clarity and with a better customer service on their part. 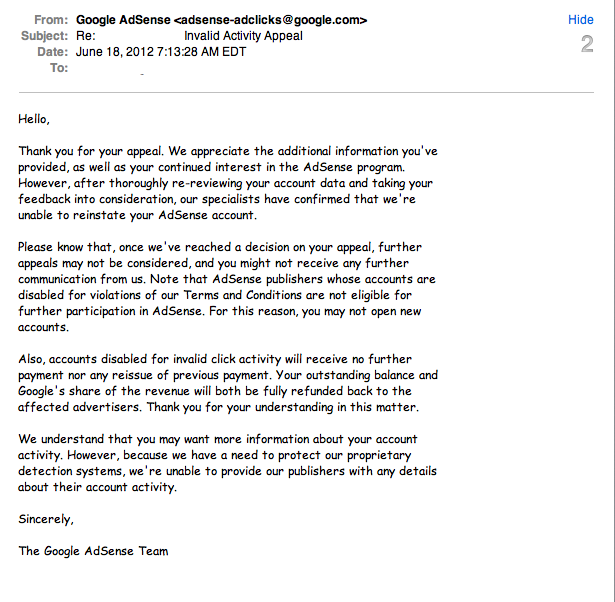 Since receiving this letter, I was afraid that I wasn't going to find something similar or better than Adsense. I don't fear anymore, there are a bunch of great products similar to Adsense and even better. I defiantly feel my current product is doing a great work in my sites. The most important thing I have found with this new product is that they have customer service, way better than that of Adsense. My new product is call BidVertiser.